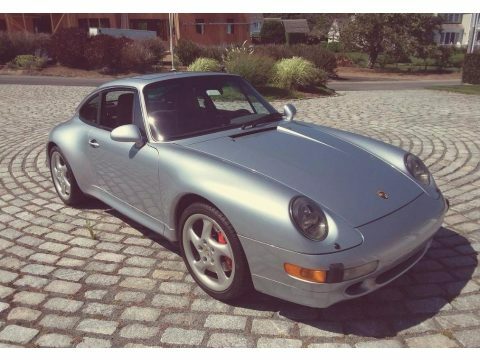 1996 Porsche 911 Carrera 4S Coupe For Sale in Sanibal, Florida 33957 Our Ultra Low Mile meticulously cared for 1996 Porsche 911 Carrera 4S AWD in Metallic Silver set over Gray leathers is an icon of performance and style. This incredible coupe is powered by a 3.6 Liter flat 6 Cylinder that produces near 282hp that shoots this machine to 60mph in a hair over 4 seconds while a fun-to-drive 6 Speed Manual transmission keeps the thrill of the road in your hands! Plus, you'll score near 25mpg on the open road! Take a moment to examine our photos to see the impeccable condition of this Porsche. Leather reclining bucket seats, a great sound system, a power sunroof, and leather steering wheel are just a few amenities that will surround you as you enjoy being seen in this head-turning coupe! Our Porsche is rapidly increasing in value. This is an iconic Porsche sports cars that promises a lot to drivers like you, and delivers on those promises in every way. The handling, power, shifter, suspension, and interior appointments will all meet or exceed your expectations. Don't delay or some other lucky soul will be tucking this amazing machine in at night. This Porsche is a must see and drive. Call (402) 502-8385 today for more information.